Simpson Travel promises its guests much more than just a week or two away – they’ve built their business on delivering experiences to their clients. From boutique hotels to itineraries designed by local experts that will exceed expectations, understanding exactly what delights their customers is essential. With Qualtrics, they’ve put their guests at the heart of every decision from investing in new properties to offering new types of holidays to keep up with what customers want. The Simpson Travel team is able to request feedback at every key stage of the guest journey and combine the feedback on a single platform. The team is able to drill down into guest feedback to help inform property owners about key updates that will delight their customers. 100 out of their 150 staff are based overseas, so they introduced dashboards, accessible through the mobile app that would keep staff informed about any issues in their region so they could take action quickly. The personal touch. Wherever guests are. We needed a platform that would allow us to see the end-to-end customer journey and make decisions based on what our customers were saying. With two thirds of its workforce overseas, the team at Simpson Travel can now automatically share insights in real-time with people on the ground who can make quick decisions to impact their customers. As well as running their CX program, it’s easy for the team to launch ad-hoc research such as identifying new destinations, properties and experiences to ensure they remain relevant. From starting with a simple customer survey, their program has scaled with them to the complete customer experience program in place today. 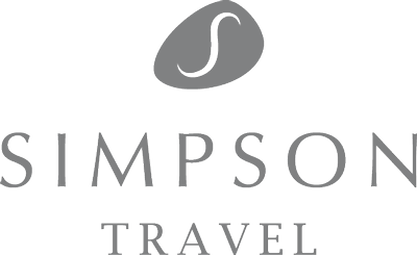 For nearly 40 years, Simpson Travel has delivered incredible holiday experiences in locations across Europe. Its portfolio of destinations includes Corsica, France, Greece, Italy, Mallorca and Turkey. It specialises in boutique hotels and luxury hotels and villas, and ensures high standards by visiting each of its residencies.